Want a unique wedding ring that’s almost one of a kind then we might have the jeweller for you! Spanish music isn’t all about Enrique Iglesias Introducing Evoéh! 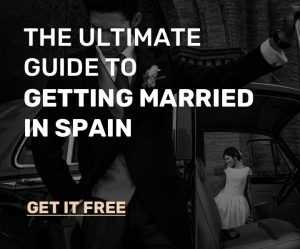 Carlos Marchante a man that’s going to make your dream wedding in Spain a reality! Fotomatón offers you wedding photos like no other! The music: a band, a DJ or a choir?